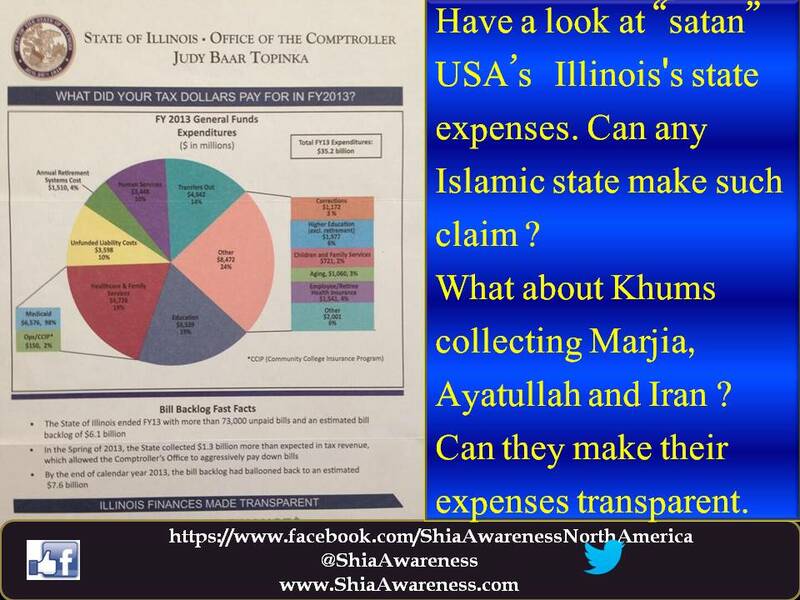 Have a look at “satan” USA’s Illinois’s state expenses. Can any Islamic state make such claim ? What about Khums collecting Marjia, Ayatullah and Iran ? Can they make their expenses transparent.